If you didn’t know Marcus Belgrave, it is very difficult to paint an apt picture for you through words. This is for some of the same reasons that conditioned his unique version and depth of greatness. Marcus was a true artist, a full human being, a manifestation of lifetimes of wisdom, and of the people. He was very much down-to-earth, and at the same time ephemeral, seeming to hover in the air above us, analogized by his sound, which appeared to be coming from everywhere in a room at once. He was a friend, allowing you to feel equal and important. Yet as his friend, you always felt lucky, as if he was allowing you to touch a higher plane of living. When he was with you, he really was with you, and you felt honored. I have been around so many great trumpeters, but I haven’t met or heard anyone who comes close to transcending the instrument the way Marcus did. I imagine it was something like being with Dizzy Gillespie (several have told me that later in life Marcus was Dizzy’s favorite trumpet player). The ears are just so advanced that there’s so little in between the soul of the man and what comes out of the horn. Marcus was an encyclopedia of jazz language, but it was internalized to the point that he wasn’t thinking about notes and chords. I asked him several times about this, and he confirmed in his own way what I had believed to be true: that the goal was to go back to playing by ear. He would play the deepest nooks and crannies of harmony you’ll ever hear, but because it was truly singing in his mind, and because he was truly improvising, it always sounded full of freedom and of the present moment. And he brought this to every setting imaginable. 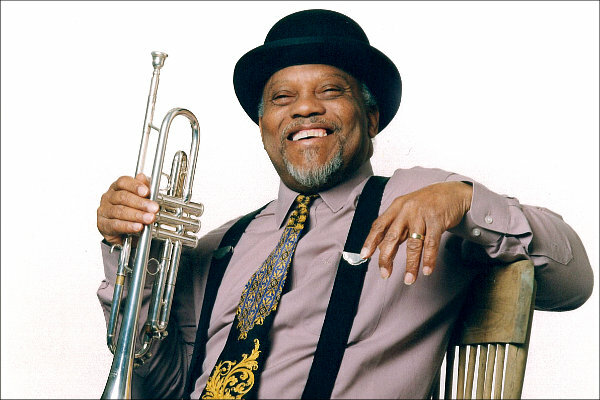 In person I heard him play dixieland, bebop, free jazz, R&B, electronic groove music, music that is not within a label; in every setting he was improvising, and in every setting he sounded simultaneously grounded in the language of that idiom, and unmistakably himself. He cared so much about serious young musicians, and the future of the music. He became a pillar of culture in Detroit, constantly and passionately working to develop and showcase the wealth of talent in that city. He gave them everything he had. I started spending time with Marcus Belgrave when I was 19. I would drive to Detroit from Oberlin College and he would have me sit-in on his gigs and stay at his house…pre-gig trips to kinko’s to copy music; post-gig late-night meals; forcing me to push the limits of my social comfort zone; heaping portions of needed criticism and the hard-love that comes from a master when he cares about the music and about a student. He was my closest mentor. And as much as I know my relationship with him was exceptionally close, it blows the mind to realize: So many musicians he touched feel the same way! How is this possible? How did he find this time and energy? This was Marcus Belgrave. A seemingly unending source of energy, joy, dedication, artistry, love and fire. If ever there was someone you expected to live forever, it was him. He’s in every note I play, and I’m joined by many who miss him deeply. Three cheers for Saint Marcus Belgrave! Greg Glassman is emerging as one of New York City’s most recognizable and accomplished young jazz musicians. Born in Queens, NY in 1977, Mr. Glassman has packed a wealth of knowledge and experience into his budding career. He started his career as a full-time professional at age 17, while attending the esteemed Oberlin Conservatory and Oberlin College. 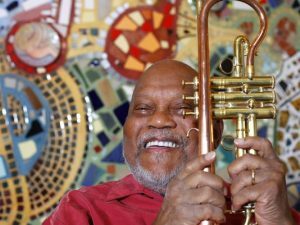 While at Oberlin, he developed close relationships with Donald Walden and Marcus Belgrave, making frequent trips to Detroit to mentor under them. He earned a B.A. from Oberlin in 1998 and immediately moved back to New York City. In 2002 he received his M.A. in Jazz Performance from Queens College, where he studied with Michael Mossman and Roland Hanna and presently serves as a clinician for Queens College’s Jazz Project. 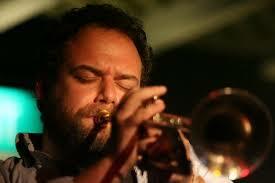 Since returning to New York Mr. Glassman has been steadily cementing himself in the canon of great NY trumpeters. 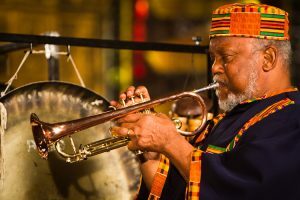 He has led legendary weekly jam sessions for years, tours internationally and is a staple of the vibrant New York jazz scene.